Have you ever been engrossed in a novel when suddenly the author interrupts the story to give you background on a character, or detailed technical information about something? Or starts waxing eloquent about a related topic or a pet cause of theirs? Savvy authors know that readers choose fiction to be entertained and swept away by a compelling story. Halting the plot to give them information on a technical subject or issue, or even to clarify something as an author aside, jolts them out of the fictive dream, interrupts the story line, slows down the pace, and just feels patronizing. Author intrusions and info dumps come in various shapes and sizes, but whatever their form, they can be perceived as an obvious and clumsy attempt by the author to quickly and easily impart some facts, clarifications, or personal opinions directly to the reader. For this article, we’ll leave out a discussion of the pitfalls of too much character backstory, especially early on. For now, we’ll just talk about other kinds of author intrusions. Readers like to stay immersed in the story, not be pulled out of it to be given a lengthy explanation of something as an aside by the author. This can include long, detailed explanations of a specific type of gun, for example, or stopping the story to describe in detail how fingerprints are retrieved, processed, analyzed, and fed into data systems. Yes, do your research, for sure. But pick and choose what you actually share with your readers, and blend the info in in a natural way, filtered through the point of view of the viewpoint character or revealed in the course of dialogue, preferably with some tension and attitude thrown in. Maybe you’d like to increase consciousness about worthy topics such as the plight of whales or the lack of clean water worldwide, or unfair treatment of minorities, or lack of green spaces. Sure, go ahead and insert allusions to social issues here and there in your novel, as long as you have a character who is passionate about that issue and knowledgeable. It can work in small doses, as long as you don’t go on so long about it that it comes across as preaching. And of course it needs to fit naturally in the scene and match the character’s personality, politics and thoughts. Say you want to write a Raiders of the Lost Ark type of adventure story because you’re passionate about Aztecs and Aztec ruins and want to tell the world about this fascinating subject. So you have a main character who’s an archaeologist, and because you can’t resist sharing your knowledge, you have this character giving frequent impromptu detailed lectures on Aztec history and culture to anyone who will listen. Not a good idea. Just drop in a few tantalizing tidbits here and there to pique your readers’ interest. If you get them curious enough, they can easily Google Aztecs (or whoever or whatever you’re highlighting in your story) and find out a lot more about the topic. You could even add some info at the end of the story somehow, as an Afterword or Glossary or related links or whatever. Don’t let your characters lecture in dialogue, either. It’s just not natural, and will bore the readers just as much as an author aside or intrusion. Avoid “info dumps” in the guise of dialogue – in real life, no one likes to be lectured to in a casual conversation. Replace long monologues of information with questions and answers or a lively discussion, and keep it relevant to the scene question. And, for more interest, insert some attitude and tension in the give-and-take – a little (or a lot) of arguing about facts, or their significance, for example. Readers today are too sophisticated to go for this type of amateurish information-sharing, and if you do it too often, it’s sure to lose you respect and credibility. So be careful not to dump a bunch of factual information willy-nilly into your story. A novel or short story is no place to go into a lot of detail on a technical subject – or to get on your soapbox about a topic that’s dear to your heart or makes your blood boil. Readers will feel annoyed, patronized or manipulated, when what they really want is to be entertained and captivated by your tale. Remember, if any readers want to know more about a topic, they can always Google the topic. Leave the lectures for the classroom, articles, or nonfiction books – the goal of fiction is to entertain the readers with a riveting story. Period. For more on this topic, plus an excellent example from Robert Crais of how to impart technical info in a natural, compelling way, see my recent blog post “Info with Attitude – Strategies for Turning Impersonal Info Dumps into Compelling Copy” at The Kill Zone blog. 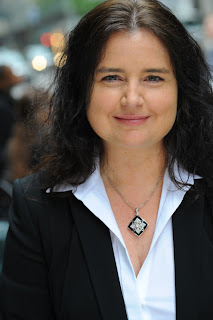 Jodie Renner is a freelance fiction editor who specializes in thrillers, mysteries, and other fast-paced fiction. 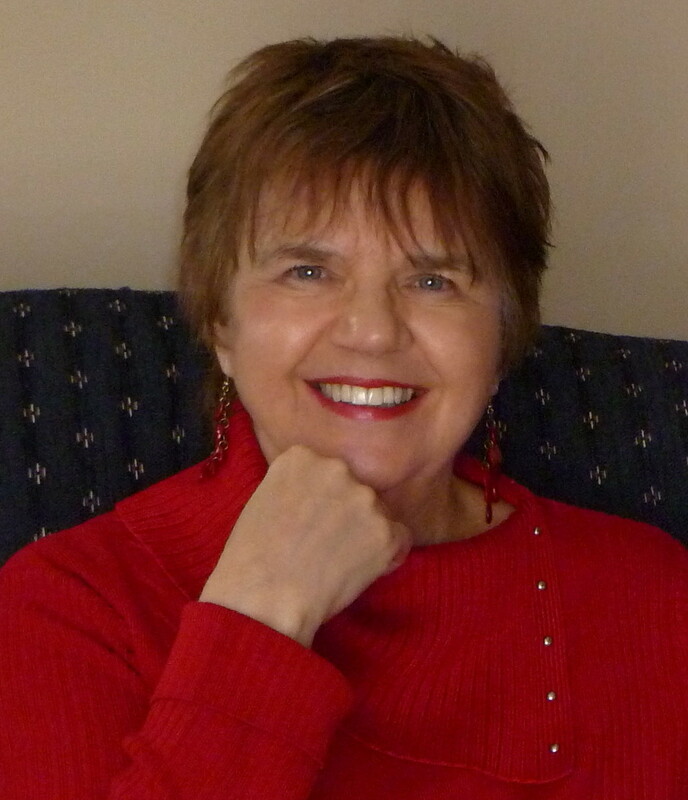 For more info on Jodie’s editing services and her books, please visit her website. 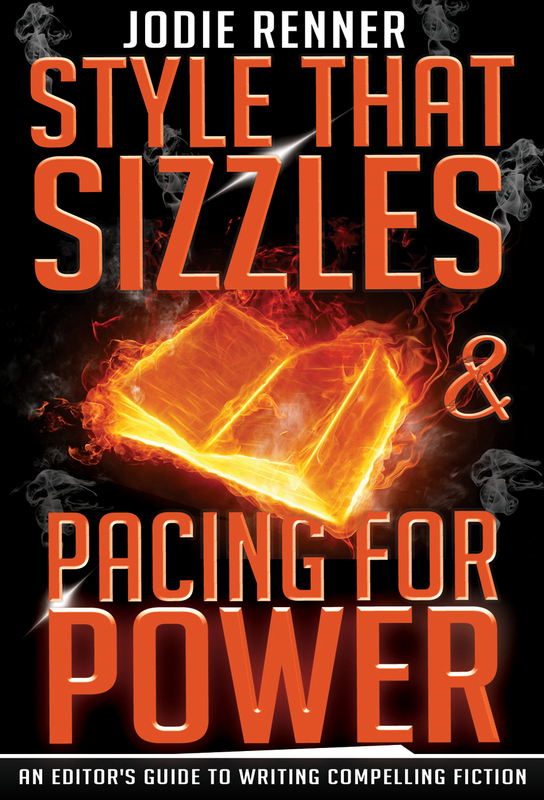 Jodie has published two books to date in her series, An Editor’s Guide to Writing Compelling Fiction: Writing a Killer Thriller, a short e-book, and Style That Sizzles & Pacing for Power, which is available in paperback, as an e-book on Kindle, and in other e-book formats. And you don’t need to own an e-reader to purchase and enjoy e-books. You can download them to your computer, tablet, or smartphone. Yes, as self-published and traditionally published authors learn sooner or later, writing a mystery is only part of the journey. 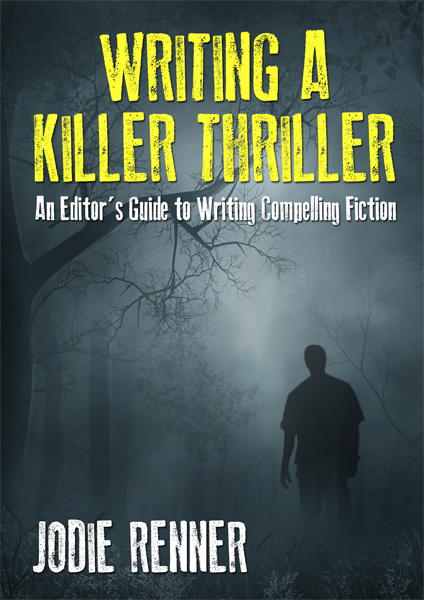 Marketing that mystery can be a much more difficult and time-consuming part of a published author’s existence. And that marketing can be murder – on your psyche, your time and your wallet. Why? Because there are so many online promotional opportunities today that enable authors to stay in front of their computers and promote their books. But where to invest one’s efforts and money (leaving some time to write mysteries, of course!) to get the most bang for your buck? The answer is probably different for each author depending on a book’s genre, theme, etc. For example, if you love Twitter and do not love Facebook (me), then you may not want to devote tons of your limited promotional time to Facebook. 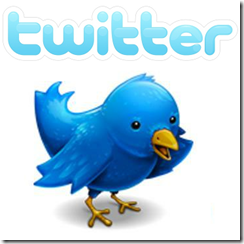 Another author who loves Facebook and does not love Twitter would not want to spend tons of time on Twitter. What I find most perplexing is the opportunities missed by authors on the elephant in the room – Amazon. On many book pages on Amazon the cover and title do not convey what the book is about. Nor do the cover and title appeal to the target audience. Recently I realized that I was somewhat guilty of this error myself. I have been adding or revising subtitles of my fiction books to better “signal” the story. We all know that people glance very quickly at information online before deciding whether they are interested in learning more. If your book cover says “for adults” and your story is “for children,” then you have a major disconnect in what you are portraying. Authors need to evaluate all their book covers from their audience’s perspective. This realization led to my changing the cover of my spy thriller CIA FALL GUY. As someone who many years ago had a security clearance, I thought the manila envelope on the cover would have meaning to readers. That is, until I realized that this was “insider knowledge” and I needed a cover that immediately portrayed mystery. A subtitle can go a long way towards correcting this issue of confusing potential readers. For example, my novel CAST THE FIRST STONE has the subtitle A REBECCA STONE MYSTERY to immediately signal the story is a mystery about a protagonist named Rebecca Stone. Then there is the question of what author name you are using. An author writing a Middle Grade novel told me she used her first and middle initials rather than a first name because her book had a male protagonist. Someone had told her that this might help her book appeal to boys. From many years ago I do remember this theory (and, yes, J.K. Rowling uses initials). But today, with your author photo on your Amazon book page, I think using your own first name if you are a woman makes more sense as this is a more personal statement. And online promotion is all about personal connections. Thanks to the Internet, your book doesn’t disappear after a couple of months on a bookstore shelf. Your book can be around indefinitely. This means that you can plan your marketing strategy for the long run and not overwhelm yourself trying to do everything NOW. In conclusion, it is important to support other authors online. We are not in competition with each other even if we write in the same genre. We are collaborators encouraging readers to buy our books. I’ve always loved keeping a journal and started keeping one when I was in fourth grade. There's nothing fabulously interesting in my diaries, but it provides snapshots of long-forgotten days. I wrote daily as a teenager. I read those posts now and I can barely identify with the content or the person who wrote the entries. Was that me? It’s a horrifying, fascinating read in a deer-in-the-headlights kind of way. Since having children, my journaling has been sporadic. I would love to say that I have a wonderfully detailed account of my children’s early years. I don’t. And I've meant to journal more. While reading blogs last month, I came across a post by Hannah Braime on the Lifehack site: 5 Killer Online Journaling Tools You Should Try Out. One of the journaling programs they mentioned was the free site OhLife. She hooked me when she used the word simple to describe it. Who has time for complicated when you’re trying to establish a new habit? Once you sign up, the site sends you an email every day (at whatever time you specify) and asks “how did your day go?” You email it back and it stores the information privately on a cloud. At the bottom of the emails they send what you were doing that time last week (or last month or last year, if you’ve been with the journal that long.) OhLife also encourages you to write only a sentence if that’s all you want to write…and to skip days, if needed. You can attach a picture to each post, if you want to enhance your post. You can also download a .txt version of your journal if you want to make sure you have a backup in case for some reason the site discontinues. I ordinarily wouldn’t even think about this possibility much, but the sudden discontinuation of Google Reader has made me a paranoid user in all aspects of my online life. I've really enjoyed OhLife and have recommended it to several of my family and friends. I've apparently become an OhLife evangelist. Getting the emails seems to do the trick for me in terms of keeping up with it. I haven’t missed a day yet. I type quickly and it’s much easier to remember to write an entry if I’m being reminded each day. And it’s not like I don’t check my emails. :) Although I like the idea of writing in a physical journal each day and I still love pen and paper…it just doesn’t seem to come together for me or fit into my busy schedule like it used to. Journal uses for writers? For one, establishing a daily writing habit, if you’re not a daily blogger. Journaling can help you warm up, too, if you write afterward. Introspection. It can be therapeutic, if you sometimes have stressful days. You could also use it to track progress on various projects…meeting your daily word count goal or looking into finding a cover designer and formatter, or tracking queries. Or, if you’re like me, it’s nice to have a searchable memory. :) My memory is abysmal and is certainly not getting any better the older/busier I get. One thing I know as a lifelong diarist—don’t try to catch up. It’s just too frustrating to try to cover everything in a journal. Just jump in where you are now. Sometimes simply making a list of the day’s highlights is a nice change, if you don’t have much time. Do you keep a journal? Ever used an online journal? If you do journal, what do you get out of it? Just thought I'd write an update today on a couple of different topics that I’ve mentioned recently. One topic is ACX, the audiobook distributor. I’d mentioned in this post that I 'd made my self-published books available for auditioning to narrators and outlined the process I'd gone through to get to that point. I’ve found narrators for all three of those books. Once you listen to the auditions on the ACX site, you make an offer to one narrator (there’s actually a ‘make an offer’ link right underneath the audition) and send a note to the others, to let them know. A pop-up window will ask you to specify your terms for the contract. Most of the contract is set by ACX, but they’ll point out the areas you’ll need to give input (like the payment arrangements…by the hour or royalty share…and your deadlines for completion of both the first fifteen minutes and the project itself.) Then you hit send and the contract goes off to the narrator. IMPORTANT:To be sure that you end up with a binding contract, please work out all details of your Offer via ACX, using our internal messaging system (simply by clicking “Send Message” on the Producer’s profile). If you negotiate and agree to details via some other channel—phone, video chat, whatever—those details aren’t going to be reflected in our system, and you might not end up with the contract you want, or any contract at all. And that’s not the safest way to work. If the narrator is interested, he or she will accept the offer through the ACX site. Once the first fifteen minutes are completed, the narrator uploads the audio to the site (and, once again, we get a notification email. I rather like these notification emails, though, since audiobooks aren’t the only thing I’m working on.) If we accept their first fifteen minutes, we click the ‘accept’ link under the audio. We can also send a message to the narrator with specifics regarding their narration. This way, if we’re not all on the same page, we can make sure we ask for changes before the narrators invest time in the rest of the book. This is where I am in the process…I’ve approved two of the three books’ first fifteen minutes now. Each book has a slightly different feel/narration to it since I’m getting all of the books done at once for the sake of time. But each sounds good. Slightly campier sound to Dyeing Shame so far, but it’s a much campier book than the other two. The narrator nailed that aspect of it. On to the other topic I’ve mentioned lately (or fretted over in the comments): the fact that Google is pulling the cord on Google Reader in July. I was pretty exasperated when the news broke. It does bring up (as many others have said) the issue of whether we can trust Google, or really any of these online cloud services. We believe they’ll continue a service, we invest time in it…and they discontinue it. Since I subscribe to 2346 blogs to curate writing links for Twitter, I’m considered a power-user. I was a little concerned about the process of migrating to another reader service and the possibility of losing folders or blog subscriptions and having to face a time-sucking challenge of restoring data or organization. All of my folders transferred over and I didn’t lose any subscriptions en route to Feedly. I can read blog posts by title, if I want to (that’s usually how I like reading them). You can also choose other views…a tile-type view, full post view, etc. Go to “prefs” on the left-hand side of the screen, under your name, to make adjustments to your settings. You might want to change the Feedly default settings if you’re used to Google Reader. One irritating thing is that Feedly isn’t supported in Internet Explorer/Windows. That’s the only irritant so far, however. You can use it on Firefox and Chrome or Safari…I’m using it in Firefox. Firefox and I sometimes don’t get along, but it’s worth putting up with some conflicts to get Feedly. Have you checked out ACX yet (US-only right now, but I believe they have plans to be worldwide)? Found a new RSS reader?Do you read blogs with an RSS reader? But probably my absolute favorite thing to do is attend book club meetings. Sitting in a casual circle, talking about the book that I wrote and everyone read, eating, drinking and, most importantly, seeing up close how readers have responded to my book, how they’ve taken ownership of the characters and defend them, fight for them, question them, hate them, love them. It’s pretty cool. But in addition to being a great way to spend an evening, book clubs offer tremendous marketing opportunities. Here are 10 ways authors can make the most of their book club appearances. 1. Put together discussion questions. Whether the book club has a facilitator or asks you to serve as facilitator for the evening, bring handouts for all the members that include discussion questions and distribute them before the meeting gets started. This will eliminate any worries of “what will we talk about?” and also gives members a heads-up on what kinds of things you have in mind to discuss, which gives them a chance to think about their comments (some people get stage fright). 2. Distribute contact info. I like to maintain relationships with book club members long after the meeting, so I give out my contact information (email, Twitter, Facebook, etc.). I usually include this on the handout I’ve distributed, but you can also use business cards or bookmarks, if you prefer. 3. Post/pass around a mailing list sign-up sheet. As an author, you may (should) already have a mailing list—an opt-in list of folks who have agreed to let you send them your news. Book clubs are a great place to grow your mailing list, because they offer readers who not only are familiar with your books, but like them enough to have you appear at their discussions. You can put your mailing list sheet—mine is usually attached to a clipboard, looks more official that way—in an accessible place, perhaps near the room entrance, and ask people to sign up if they’re interested in receiving more info about you. However, I find the better way to go is to pass the clipboard around the room while we’re all sitting in a circle—many times readers are interested in signing up, but once the discussion gets going they often forget about the list, so getting the mailing list out of the way or while the discussion is getting started is more advantageous. 4. Bring a camera. Local newspapers are always looking for news, and sending a photo of a local book club appearance is not only exciting for the book club members, but it can help spread the word about your book. I usually gather the members around for a group shot sometime after our discussion and before dessert, so that we don’t have cookie crumbs on our lips or lapels. 5. Bring copies of your book—and at least one Sharpie. While dessert is under way, I usually pull out a Sharpie and begin an autograph session. Many of the book club members will already have purchased my book in order to participate in the discussion, but I find that sometimes members want copies for friends, family members or colleagues. Or, if they’ve bought the eBook, they might want an autographed hard copy as well. Work closely with your book club contact to gauge how many books you should bring. I usually bring 15 to 20 copies. Also, one Sharpie should do, but it couldn’t hurt to have a back-up in case that one runs out of ink. 6. Sell your book at a group discount. I offer Baby Grand at a book club discount for groups of 10 or more. I find that, in addition to helping to sell books at the actual book club events, a discount helps to entice book clubs to take on your book as a reading selection in the first place — because book club members are buying books all the time, they appreciate the opportunity to save a few bucks where possible. 7. Suggest a theme for the meeting based on your book. Lots of book clubs like to have theme-based discussions and often ask members to bring food or desserts that cater to that particular theme. For example, in keeping with the “mob” storyline of Baby Grand, one club had a theme of “Everything Italian,” and the book club organizer asked members to bring wine, food and beverages that fit the bill. So there was pizza, mozzarella and tomatoes drizzled with balsamic vinegar, Italian chocolates and pastries, cannoli, espresso. It was so fun. And delicious. And it got everyone in the mood for the book discussion. Reach out to the organizer of the book club you’re planning to attend to see if they’re up for some fiction-inspired fare. 8. Give ’em the inside scoop. Make your author appearance special for the folks who are there, and let them in on some proprietary info about your book. Give them the lowdown on how your book came to be, some behind-the-scenes information or a preview of the book’s sequel. Reveal what celebrity your villain was based on (mine was inspired by Robert De Niro) or why you chose the book’s setting. Think of the stuff you would like to know if you were meeting an author, and then go ahead and spill your guts. 9. Publicize the events on social media. I often post photos I’ve taken, an insightful comment a reader made, or a themed food served at the meeting on my Facebook page, or my blog. I also spotlight a book club of the month in my monthly newsletter. 10. Have fun. This is probably the most important tip. Be yourself. Let your hair down. Have a cannolo. Guffaw, if you dare. For many of us, this is the reason we became writers: To have the opportunity to share stories with readers. What’s more, after a night of laughter and silliness and debating which one of us will be running away with one of the main characters, I’m often approached to appear at another book club (many readers are in more than one). If readers are having a good time, then they’re apt to tell their reader-friends that they did. And the best part? You get to do it all over again. 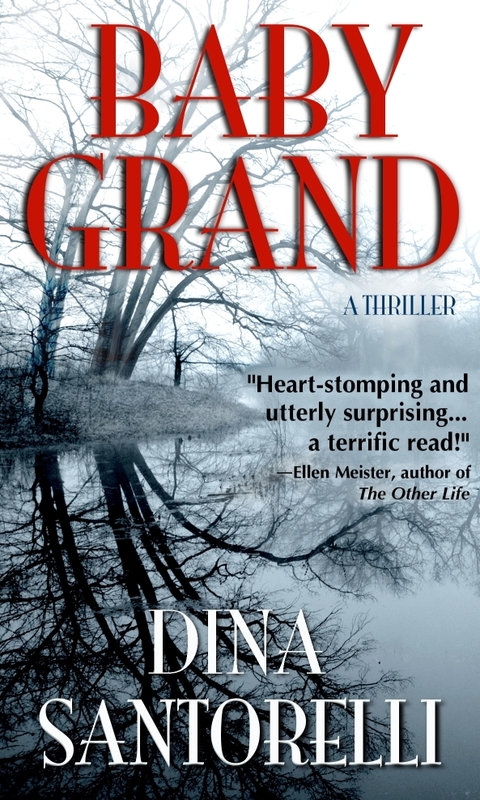 Her debut novel, Baby Grand, is a Top Rated Mystery & Thriller on Amazon Kindle. Among her nonfiction work, Dina served as the “with” writer for the well-received Good Girls Don't Get Fat and most recently contributed to Bully, the companion book to the acclaimed documentary. Dina is also the Executive Editor of Salute and Family magazines for which she has interviewed many celebrities, including James Gandolfini, Tim McGraw, Angela Bassett, Mario Lopez, Gary Sinise and Kevin Bacon. 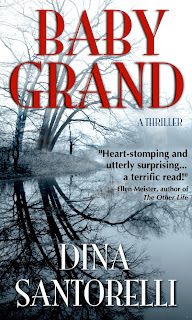 Dina blogs about the writing life at http://makingbabygrand.com. 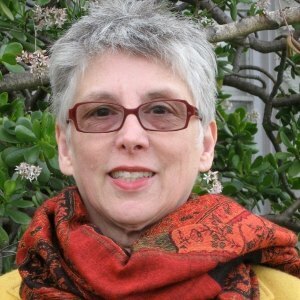 and will teach a publishing course this summer for Hofstra University’s Continuing Education department. For more information about Dina, visit her website at http://dinasantorelli.com. In Albany, New York, the governor’s infant daughter disappears without a trace from her crib at the Executive Mansion. Hours later, newly divorced and down-and-out writer Jamie Carter is abducted from the streets of Manhattan. Jamie is whisked upstate, where she is forced by her captor, Don Bailino, a handsome, charismatic ex-war hero/successful businessman, to care for the kidnapped child in a plot to delay the execution of mobster Gino Cataldi – the sixth man to be put to death in six years by hardliner Governor Phillip Grand. What prevails is a modern-day thriller about family ties, loyalty, murder, betrayal, and love that’s told in deftly interweaving narratives that follow the police investigation of the missing Baby Grand, the bad guys who took her, and the woman who found the strength to protect her.